I’m very happy to have been asked by Kila to play support for them last Fri and Sat in Whelan’s. Great to play before such a great band. I also supported Aisling Quinn on Fri too in Odessa. Táim an-shásta go raibh mé ag tacú le Kila i Whelans ar an Sathairn agus an Aoine agus freisin go le Aisling Quinn in Odessa i mBÁC. 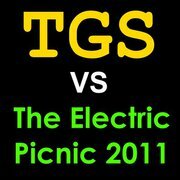 I’ll be playing the Electric Picnic this year on the Word Stage at 3 o’Clock on Saturday as part of the Glór Sessions. Will you be there?